Use DP82005272-KIT 2014 Remote Topcap Interface Parts to convert your 2014 or 2015 FIT CTD-ADJ, FIT CTD, or O/C CTD to remote. 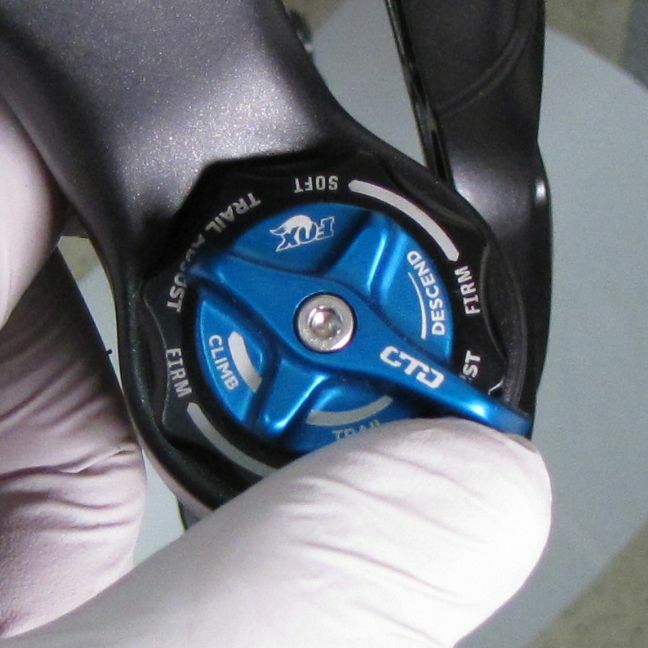 Once converted, you will need to use the 2014 CTD Remote Lever PN:DP82007033. 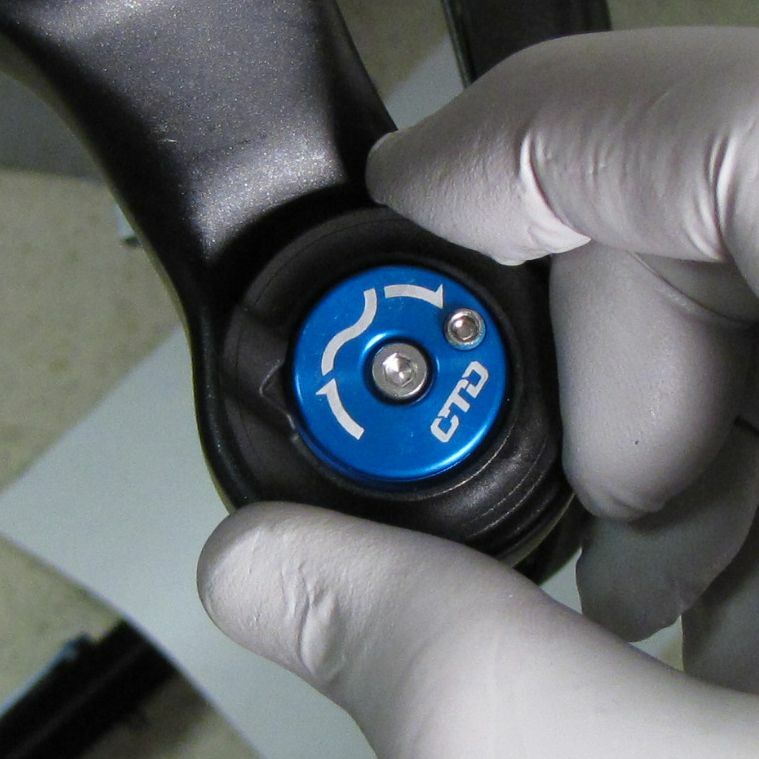 The following instructions guide you through converting any 2014/2015 CTD fork with topcap knobs to one with a remote handlebar lever that can actuate both front CTD forks as well as rear CTD shocks (with optional splitter assembly PN: DP80300817. 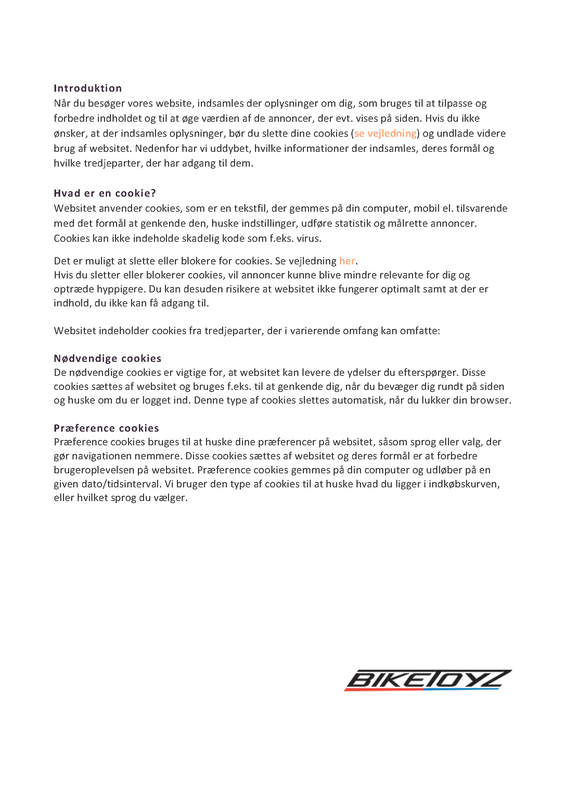 The 2014 Remote Topcap Interface Parts and 2014 CTD Remote Lever and splitter assemblies are only compatible with 2014 and 2015 forks. 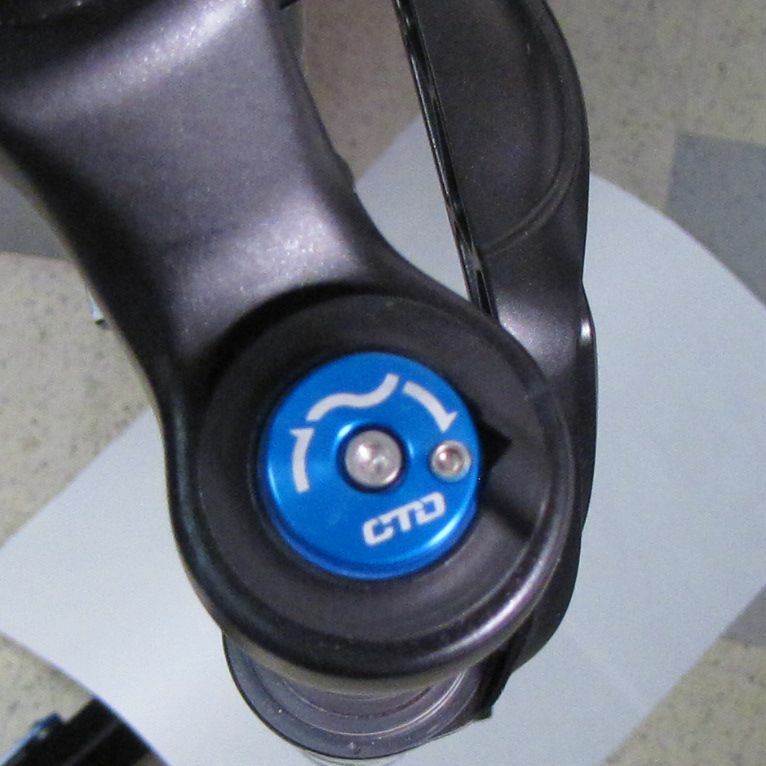 Do not attempt to use 2014 Remote Topcap Interface Parts or 2014 CTD Remote Levers with 2013 CTD forks. 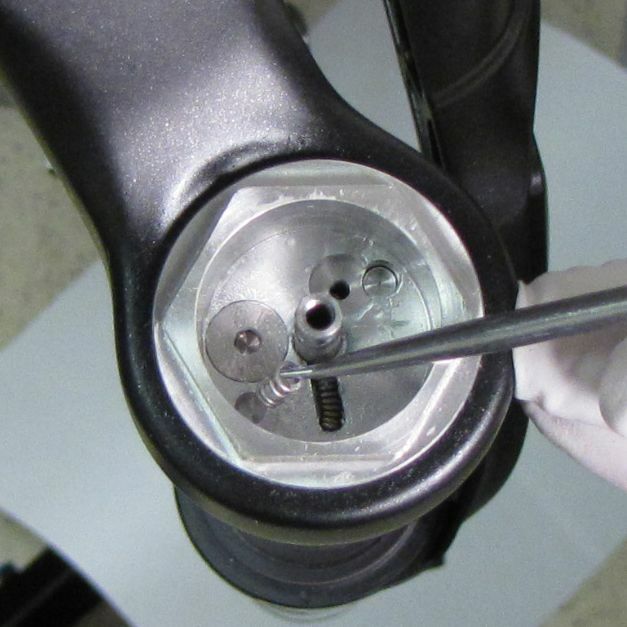 Images below show a 2014 FIT CTD-Adj fork being converted to remote. 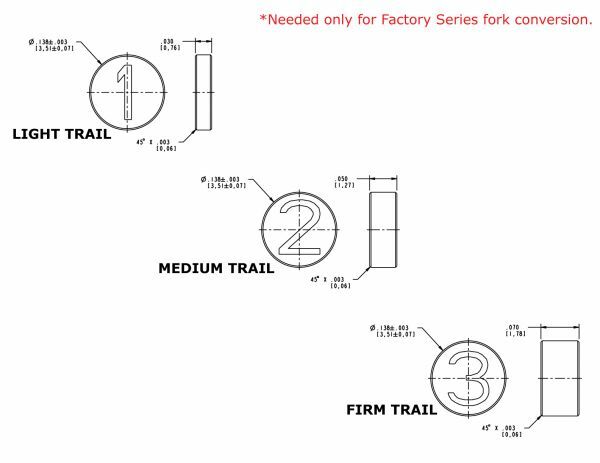 Though some images may appear slightly different than the fork that you are working on, the procedure is the same for all 2014/2015 CTD forks. 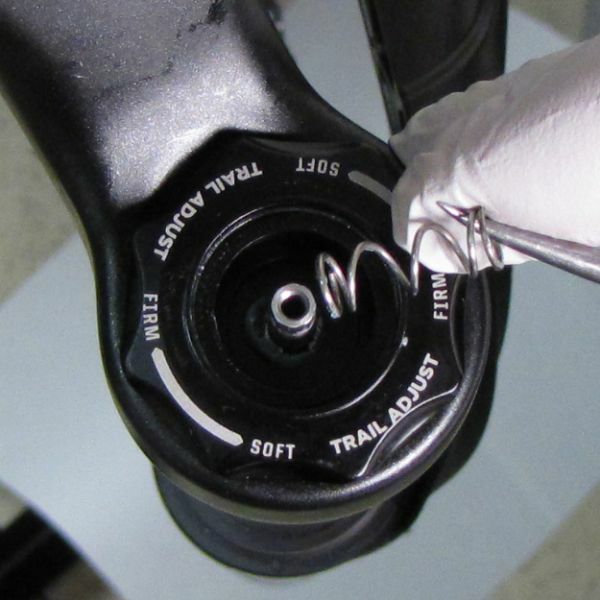 Set the fork to Descend mode by turning the blue CTD lever fully counter-clockwise. 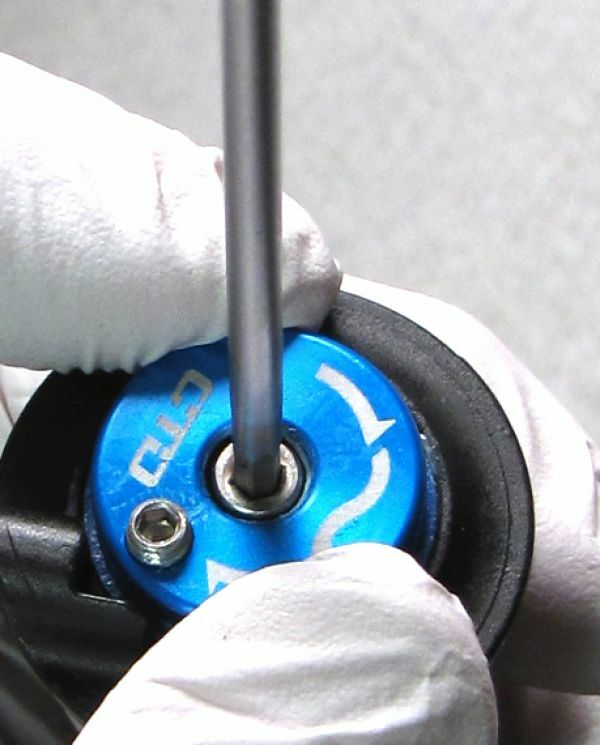 Hold the blue CTD lever while loosening the set screw with a 2.5mm hex wrench. 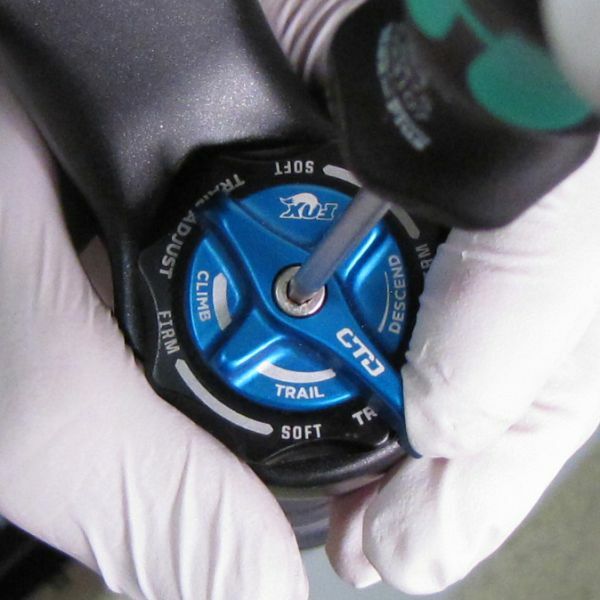 Remove the blue CTD lever by pulling up. 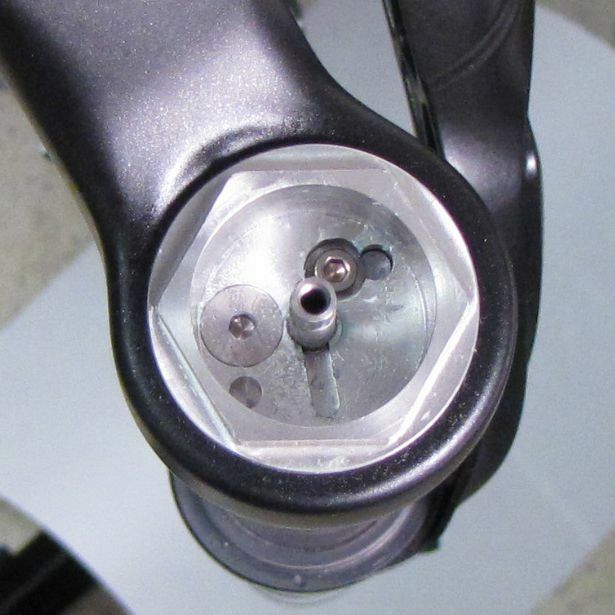 Remove the tolerance spring by pulling it up off of the compression adjuster rod. 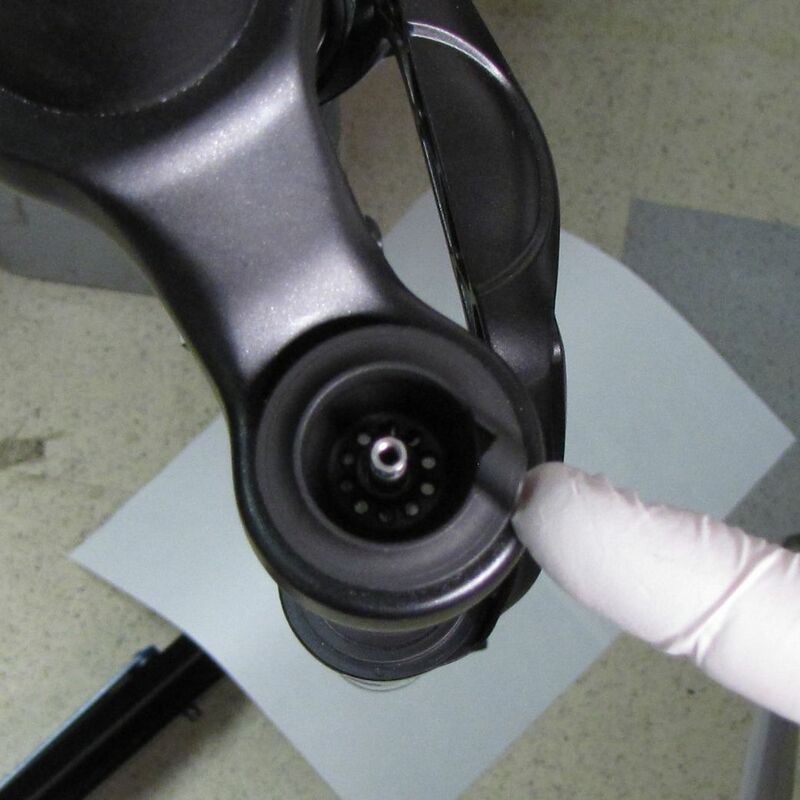 For FIT CTD-Adj: Remove the black Trail Adjust knob paying attention to any small parts stuck to its underside. 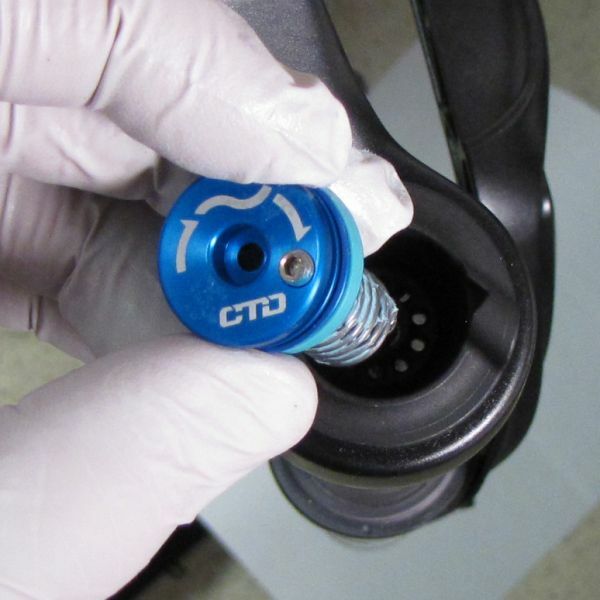 For FIT CTD and O/C CTD: Remove the flat detent retainer plate sitting in the base of the topcap with a magnet (not shown). For FIT CTD-Adj only: Carefully remove the domed low-speed needle pusher, the Trail Adjust detent ball, and Trail Adjust detent spring. For FIT CTD and O/C CTD: Go to step 6. 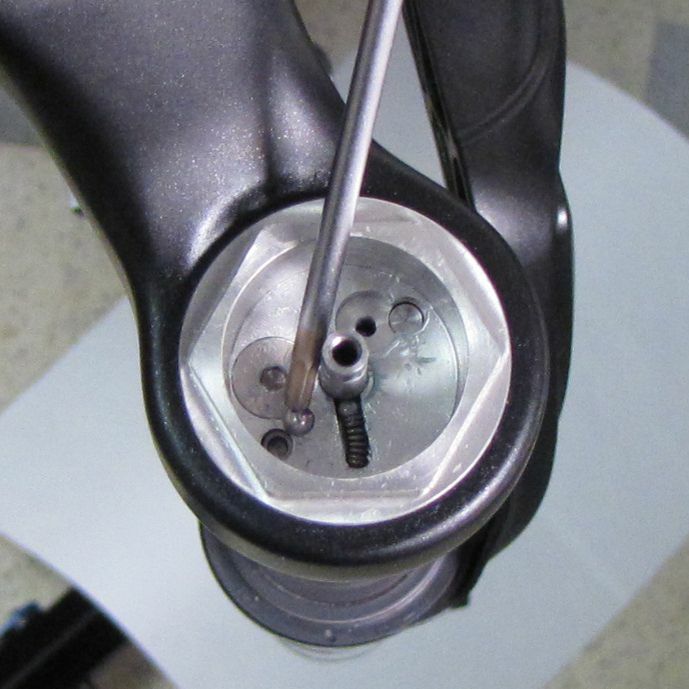 Use a pick to remove the CTD detent spring by lifting it out of its channel by the outermost end. 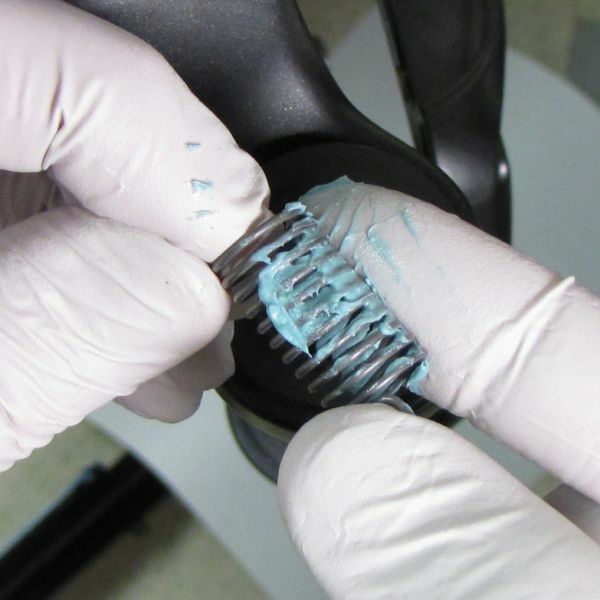 When done carefully, the spring will ride up your pick tool and prevent it from flying out of the fork. 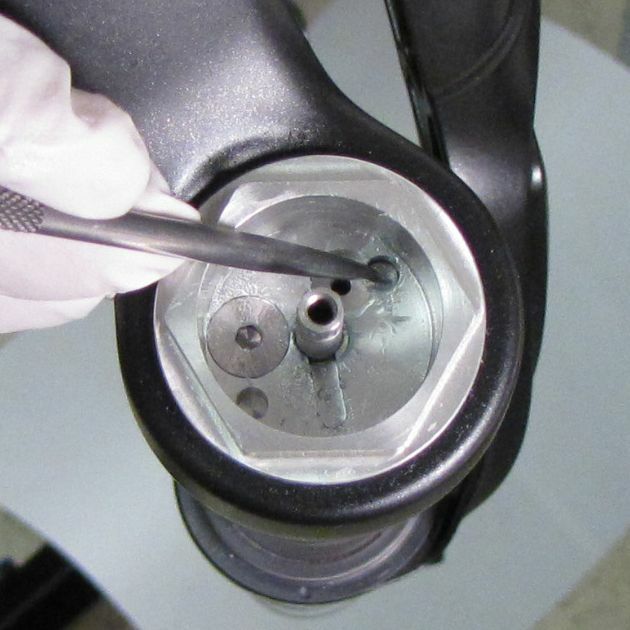 Remove the CTD detent ball with a magnet. 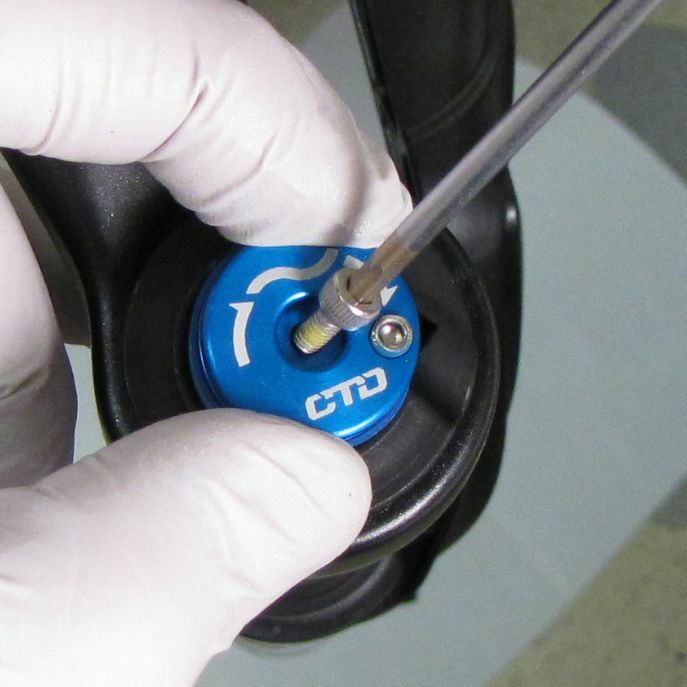 For FIT CTD-Adj only: Choose which Trail mode you would like to preset by selecting the appropriate spacer from the Remote Topcap Interface Parts kit. 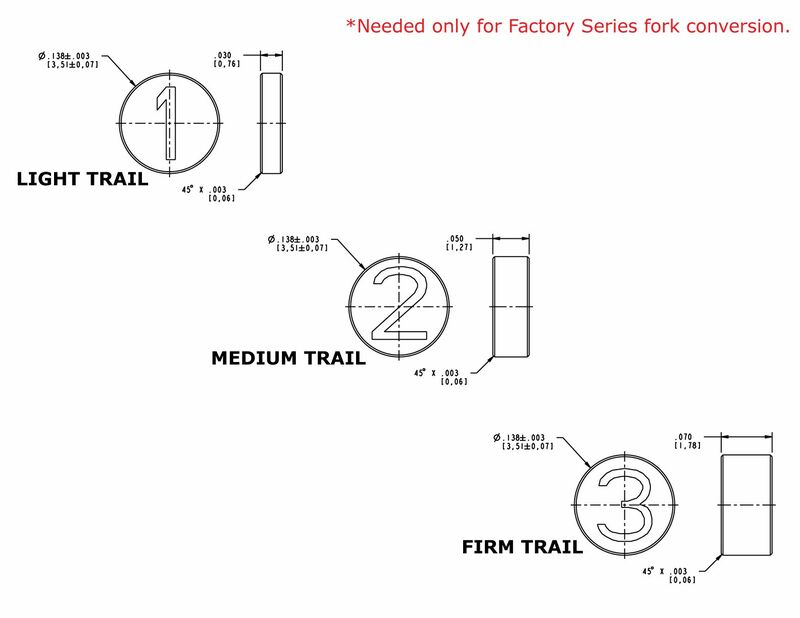 1 is the lightest, 2 is the medium, and 3 is the firmest of the three Trail modes available when converting to remote. 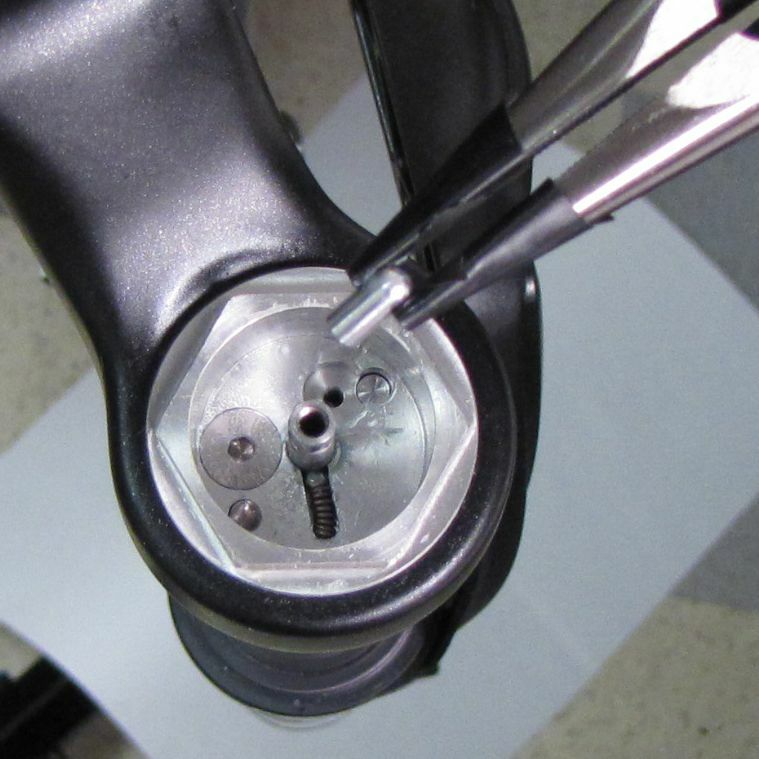 Install it into the hole that the domed low-speed needle pusher was removed from in step 5. Use some grease on the end of a small tool to help you place the spacer in the hole. 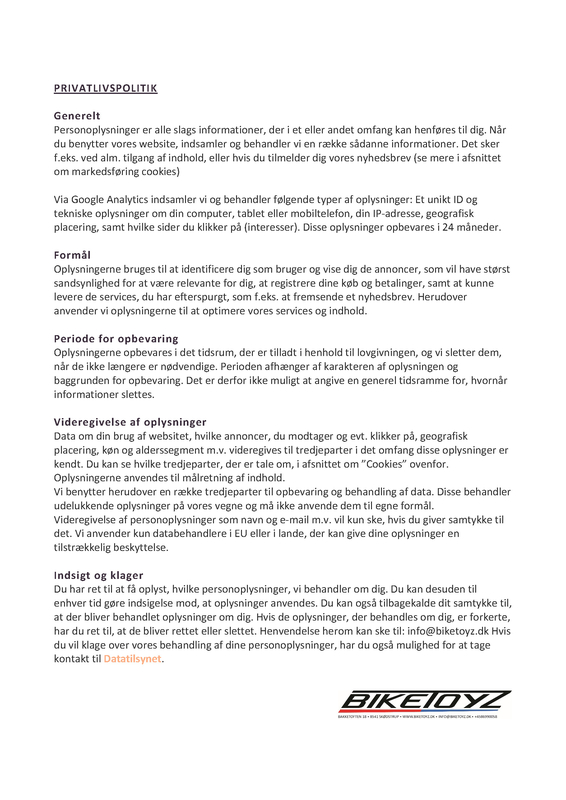 For FIT CTD and O/C CTD: Go to step 9. 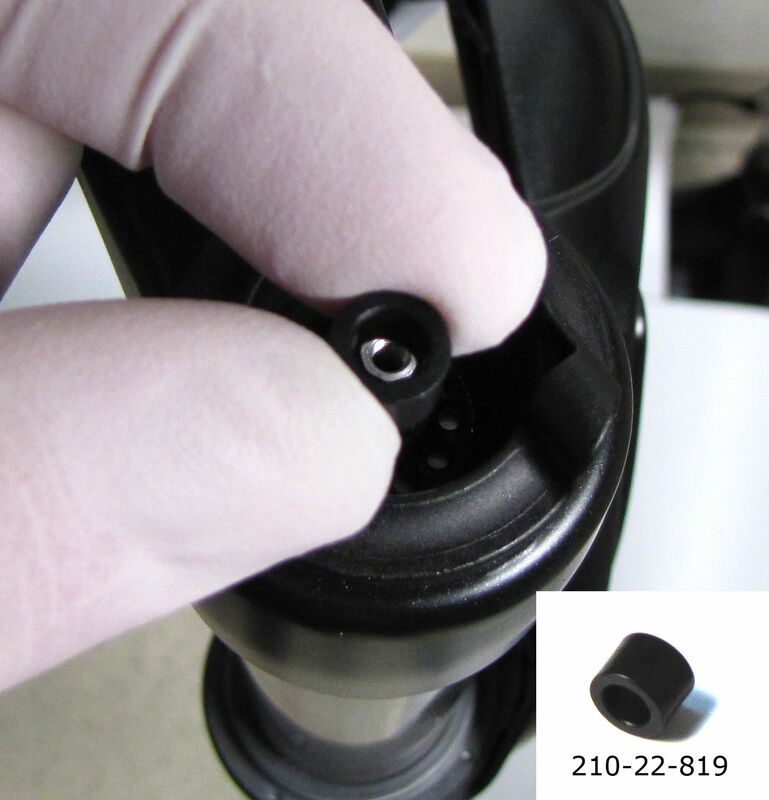 For FIT CTD-Adj only: Install the small washer onto the M2.5 x 6 bolt from the Remote Topcap Interface Parts kit. 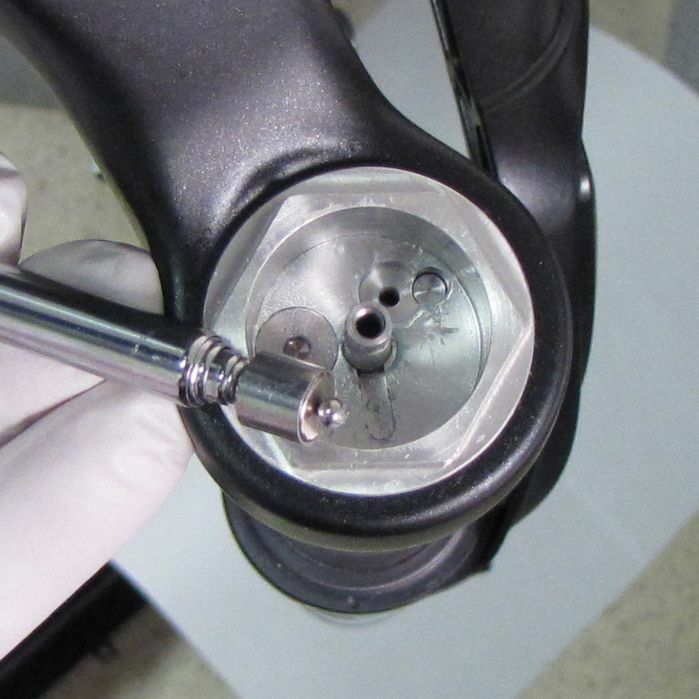 Thread this bolt with washer into the hole adjacent to the spacer installed in step 7 so the washer holds down the spacer. 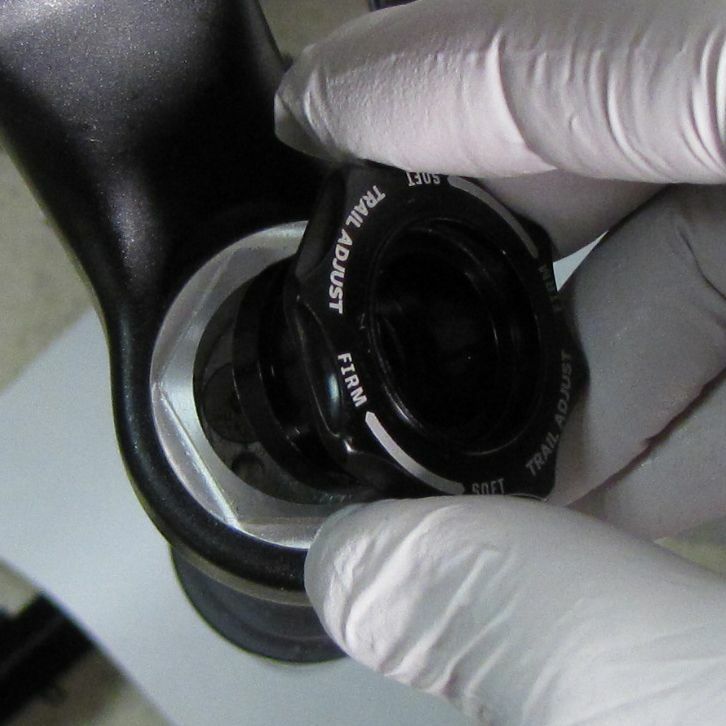 Install the black remote housing into the topcap so the cable stop is oriented toward the rider's 1 o'clock position. 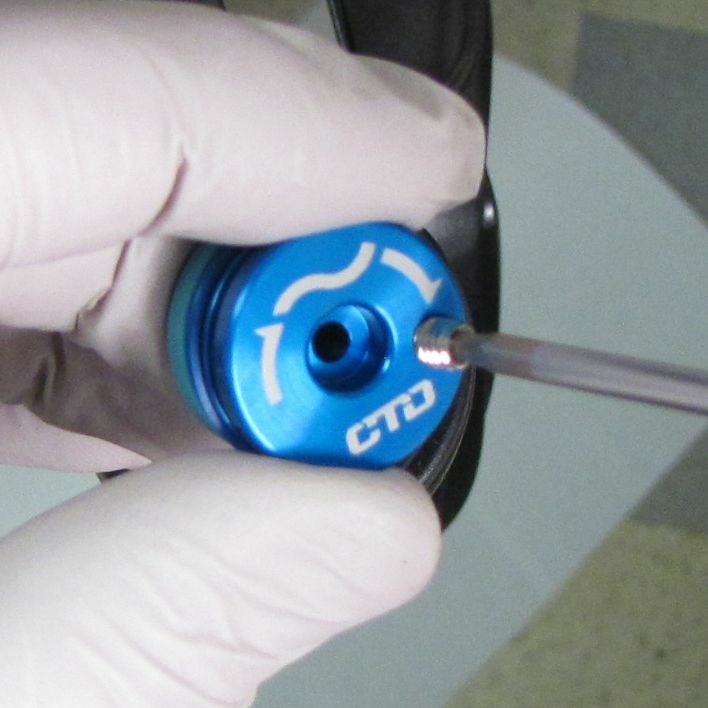 2015 CTD Remote forks are being built with a spacer (PN: 210-22-819) in the topcap to prevent the black remote housing from unclocking during shipping. 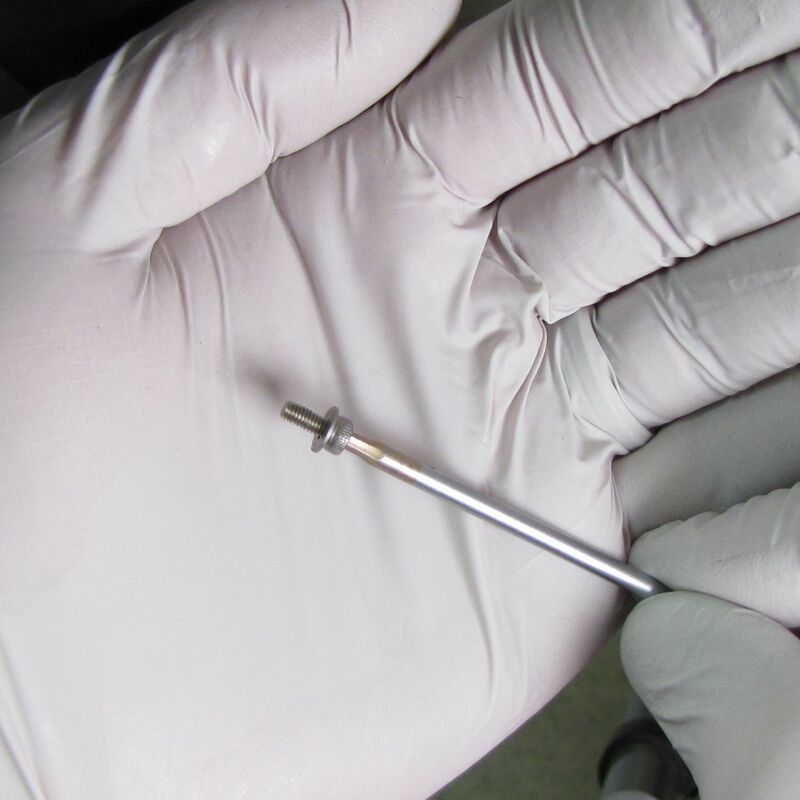 Install the remote spacer over the CTD Compression Adjuster Rod. This part is not critical for proper function of the CTD Remote system, if you do not have this part, continue with the assembly as instructed below. Start the M4 x 4mm pinch bolt into the blue remote pulley but do not thread in far enough to prevent cable installation later. 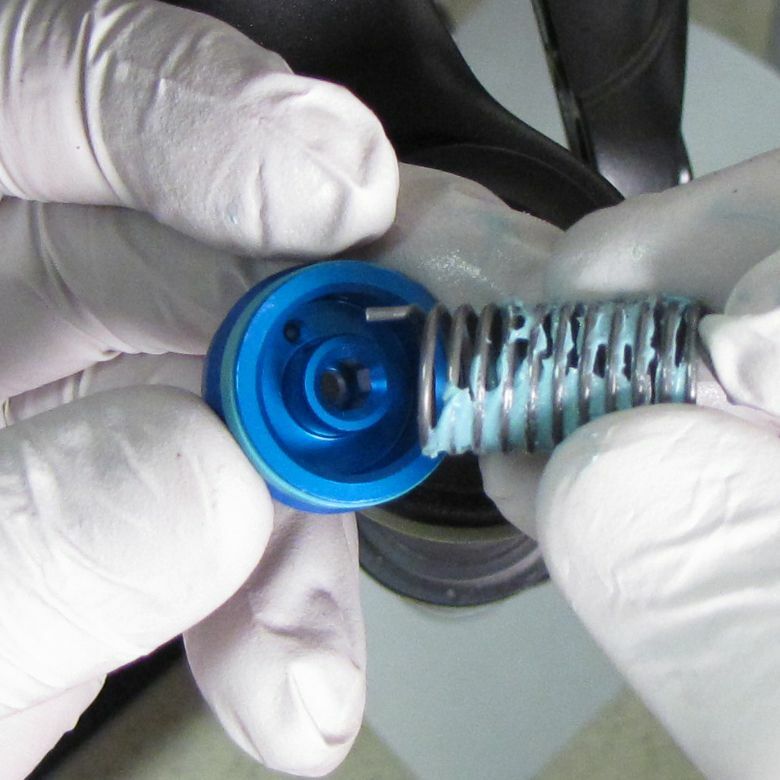 Grease the torsion spring using a waterproof grease such as Sta-Lube SL3125 then install one tang of the spring into the hole in the underside of the blue remote pulley. Insert the remote pulley and greased torsion spring into the black remote housing so the pinch bolt is at the rider's 1 o'clock position. 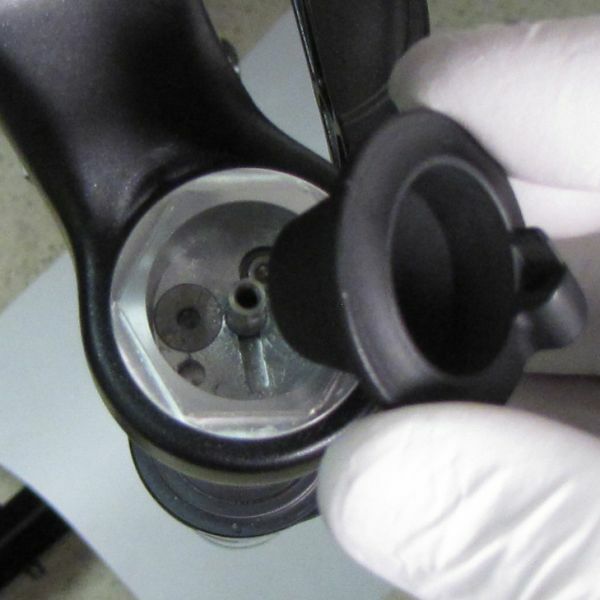 Make sure that the bottom spring tang seats into a hole in the black remote housing. 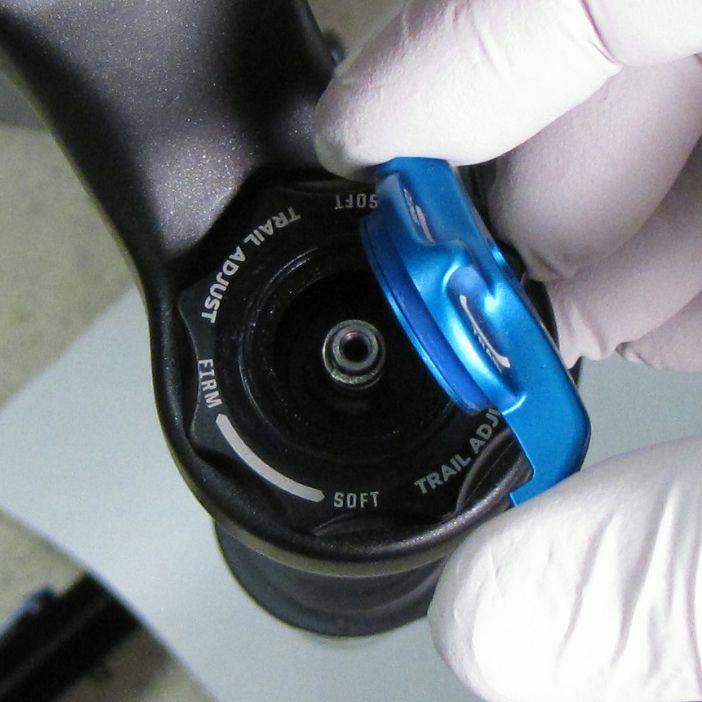 Start the M3 x 6mm bolt in the blue remote pulley, only tightening 2-3 turns. Lift up on the black remote housing and rotate counter-clockwise until the cable stop is oriented toward the riders 7 o'clock position (180 degrees). Lower the black remote housing back onto the topcap wrench flats. 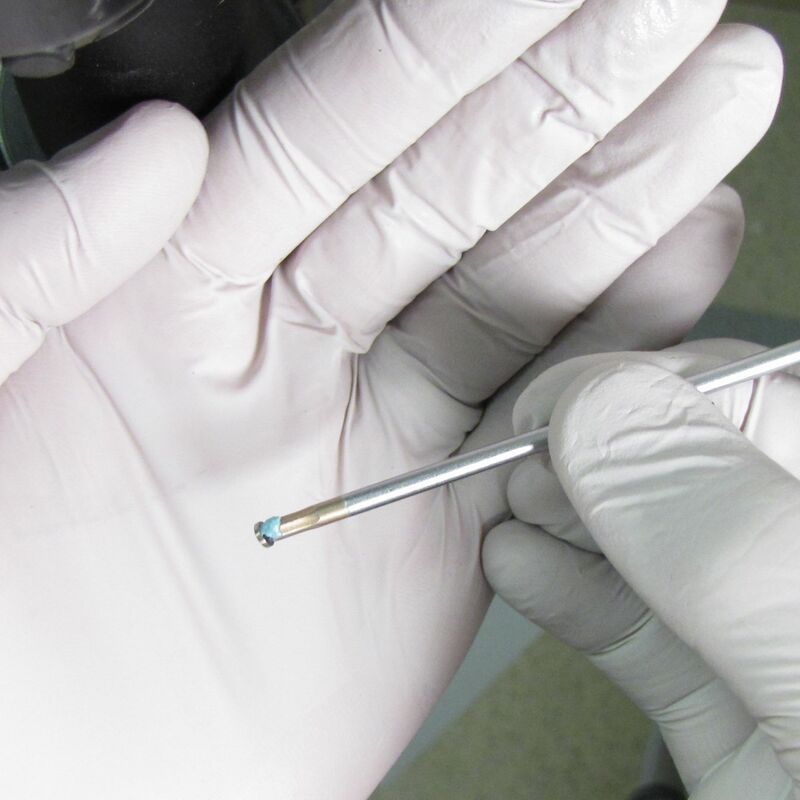 Tighten the set screw to 11 in-lb (1.2 Nm). NOTE: Actuate the release lever with the suspension unweighted for immediate changes between damping settings. 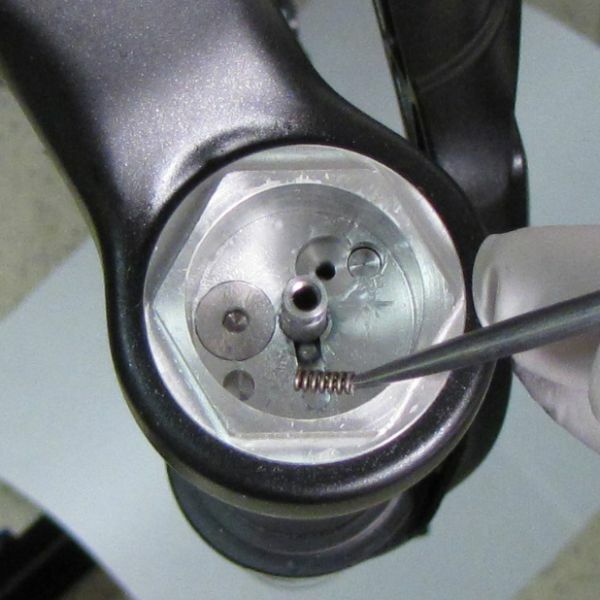 Actuating the release lever with the suspension under load may cause a slight delay transitioning between damping modes.